When Sylvie Dearlove’s attempts at becoming a well-known fashion designer fail, she is left with no other option than to return home to England. Feeling ashamed and defeated, she is hardly expecting to be welcomed with open arms, but she isn’t anticipating the shock that awaits her. In her absence, her parents have planned to sell their once grand, now crumbling, country house. Bledesford has been the ancestral home of the Dearloves for generations, so its sale is monumental, sending the directionless Sylvie spiralling further. Sylvie, beset by self-doubt, agrees to help prepare the house for sale, but uncovers way more than she’d imagined in the forgotten attic, some of which will change the course of her life entirely. The cache that Sylvie happens upon is full of old steamer trunks and tea chests filled to the brim with elaborate dresses acquired by five generations of fabulously stylish Dearlove women. Sylvie has spent much of her life trying to escape the pressure of belonging to a family of headstrong, successful, and charismatic women. But now, with these dresses in her hands, symbols of the past she has always avoided, Sylvie discovers a secret that will forever ch ange the way she thinks about her family, herself, and her future. 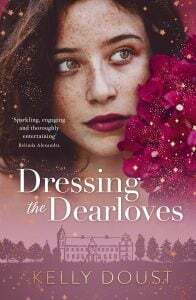 Dressing The Dearloves is Kelly Doust’s second novel, and, much like the elaborate garments she describes, it is a stunning creation. 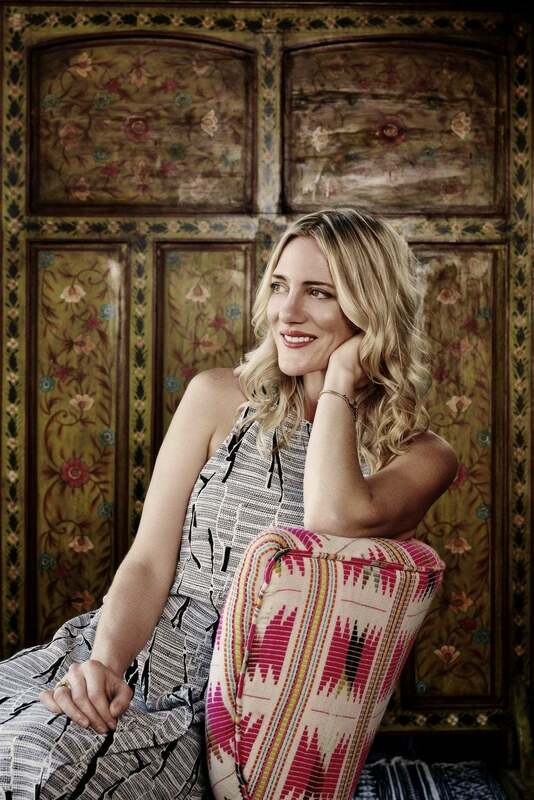 Like the delicate weave of a thread through fabric or an exquisite piece of beading, Kelly’s story is layered and visceral, shifting between generations, interwoven with themes that resonate like the corrosiveness of family secrets and the pleasing endurance and strength of female friendships. 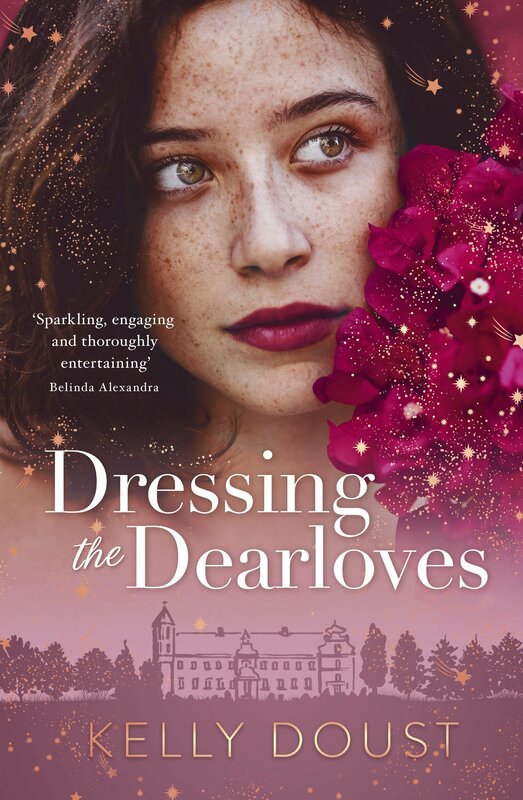 Whether you’re into fashion or not, Dressing The Dearloves is also a monument to the power of a beautiful garment to transform you – and to the fun of dressing up. Taking you on a journey from stitched-up Edwardian England to the chaos and madness of the Blitz, to present-day London, the book is an intricate and authentic piece of historical fiction. If you’re a reader who loves to be transported to another time and world without ever having to leave the comfort of your couch – and you appreciate the slither of silk or the elegant swirl of a well-cut skirt – then this novel is certainly for you. The book boasts an impressive cast of strong, female characters and explores female friendship – its power, complexities and magic. To read a story that is so fervently female, strong in its voices, stories and experiences of womanhood, is refreshing and somehow, life affirming. For all those reasons – and more – Dressing The Dearloves is not to be missed.